Time for a Journey? Heartbeat Scholarship Opportunity! Heartbeat is in search of people, young and old, who are wanting to make a pilgrimage to deepen their spiritual journey and enhance their efforts towards healing and transformation in the world. If you or someone you know are interested in a scholarship, please consider the opportunities below. Application deadline is 7 April, 2015. Additional cost to recipient: travel expenses and $215 balance due at Ghost Ranch upon receipt of award. Description: In this signature week at Ghost Ranch, John Philip and Ali Newell ask how our great spiritual traditions– Christian and other– can access the well of the imagination again and thus deepen and renew the blessings that we carry in our lives individually and together! More event information. Program fees include lodging, meals, and curriculum. Instructions: Fill out the online form by clicking the link below and have a letter of reference sent to Ben Lindwall (ben@heartbeatjourneydotorg) by 7 April, 2015. A Heartbeat Selection Committee will review all applications and notify successful candidates by 17 April, 2015. The funds will then be transferred to Ghost Ranch in their name, pending the payment of the remaining $215 balance. Many thanks to Ghost Ranch for contributing to the scholarship amount! Additional cost to recipient: travel expenses, lunch each day, and approximately $700 balance due (depending on exact exchange rates) at the St. Columba Hotel upon receipt of the award. 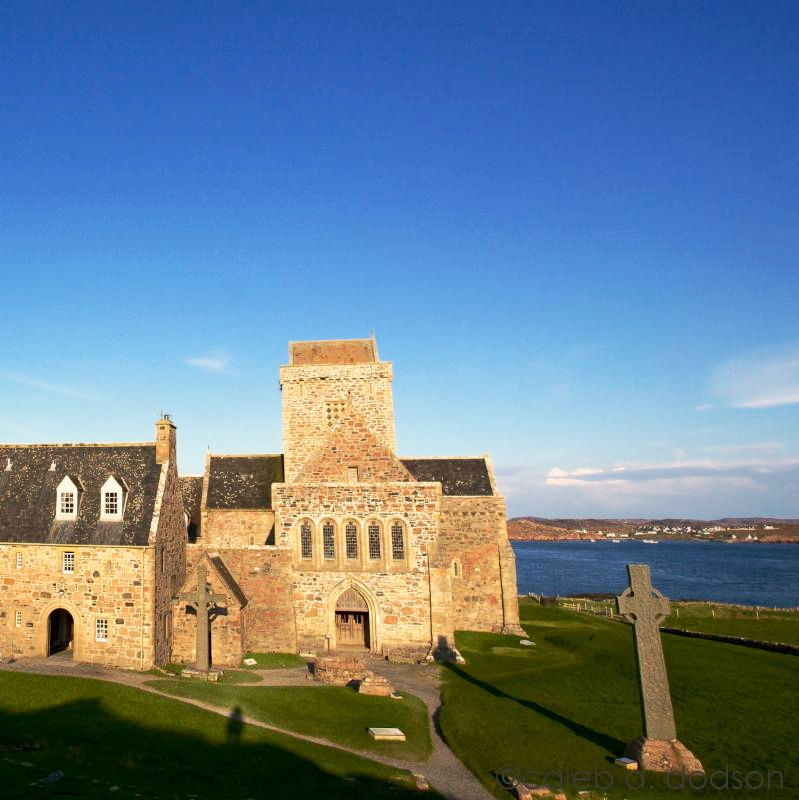 Description: Each day on Iona will begin and end with the rhythm of prayer and meditation together, either at the Abbey or elsewhere on the island. John Philip will teach on themes related to the oneness of the human soul and the healing of creation, asking what sacrifices we are to make in our lives as individuals, as nations, and as a species, if we and the world are to be well. More event information. Program fees include lodging, breakfast, dinner, and curriculum. Because of limited availability applicants must be willing to share a room (if applying with a friend or family member, please indicate in the appropriate field on the application). Instructions: fill out the online form by clicking the link below and have a letter of reference sent to Ben Lindwall (ben@heartbeatjourneydotorg) by 7 April, 2015. A Heartbeat Selection Committee will review all applications and notify successful candidates by 17 April, 2015. The funds will then be transferred to the St. Columba Hotel in the recipient’s name, pending the payment of the remaining balance. The music debut of the new version of Ground of All Being at Ghost Ranch on July 25, 2014. Lyrics by John Philip Newell and music arrangement from Davide E. Poole. The setting for the official launch of The Rebirthing of God could not have been better. Speaking from the Agape Center which is nestled between Ghost Ranch’s iconic Chimney Rock and Kitchen Mesa, John Philip Newell offered reflections on the process of writing The Rebirthing of God, thanks for the support of family and friends as well as insights into the inspiration for this latest work. The event began with music from his youngest son Cameron playing the fiddle, and Ghost Ranch college staffer, Hallie Parkins on the cello. Marissa Danney, Ghost Ranch Chaplain and former Heartbeat Scholar offered a stirring introduction, fittingly using the metaphor of childbirth as a backdrop to the experience of reading The Rebirthing of God. I am writing this book on the isle of Iona. Or, more exactly, in my imagination I am on Iona as I write this book. Legend has it that this little island in the Hebrides was the birthplace of Christianity for Scotland in the sixth century. It was a place of new beginnings for a whole nation and for many people well beyond the bounds of this land. Since then it has been a place of pilgrimage to which tens of thousands come from the four corners of the earth every year seeking new birth. They come longing for healing for themselves and for their families. They come searching for signs of a way forward for their cherished homelands and for the one home to which we all belong, the earth. So this is a good place to write about rebirthing. It has witnessed the spiritual birth throes of many before us and it will witness them again, if we come seeking. In The Rebirthing of God: Christianity’s Struggle for New Beginnings, I invite us to imagine what new birth would look like in our lives individually and collectively. Specifically, I invite those of us who belong to the Christian household—whether in its well- defined bounds of practice and belief or on its disenchanted edges of inheritance and doubt—to dream together of a reborn Christianity that might again carry great blessing for the world and usher in the emergence of a new well-being for the earth. You are the moistness of new conception. let there be tears of love. let there be fresh tears of love. Applications must be submitted by midnight May 23, 2014. A Heartbeat Board of Directors Selection Committee will review applications and announce awards by June 25, 2014. Every effort will be made to ensure a healthy diversity of age, race, ethnicity and gender. Scholarships will be awarded by transferring funds to the organization hosting each event. UPDATE: APPLICATION DEADLINE PAST. Please join our mailing list for future opportunities, Heartbeat news, and more!